Smartsville is celebrating two anniversaries on Saturday, Sept. 8, from 10:00 a.m. to 2:00 p.m. The free party will include hot dogs for lunch, ice cream and cake for dessert, music and speakers. 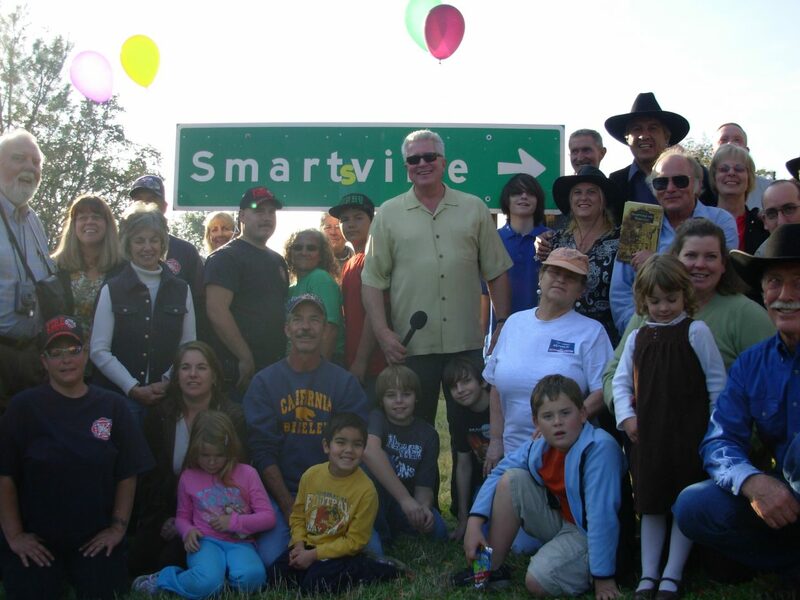 Ten years ago the late, great Huell Howser came to Smartsville to film the story of the town’s name, how it started, how it was changed and how, after 99 years, the gold rush town’s persistent citizens got its “S” back. Howser’s TV segment in his series called “California’s Gold” is still running on PBS stations. And 20 years ago, Smartsville resident Bill Ross convinced the Sacramento Diocese to donate its historic Catholic Church building and grounds to a brand new non-profit corporation named Smartsville Church Restoration Fund Inc., also known as SCRFI, or “Scruffy.” The plan was to restore the former church building for use by the community. 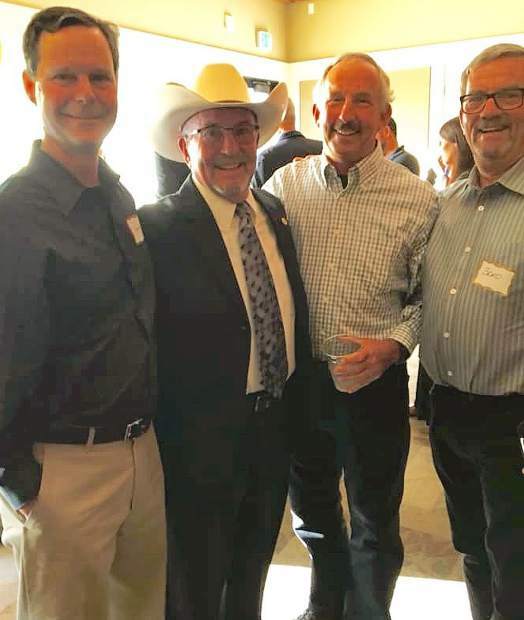 For the past 11 years SCRFI has sponsored Pioneer Day, an annual festival honoring the early pioneers that came to northern California for gold. Pioneer Day is an opportunity for SCRFI to demonstrate its efforts to preserve the historic former Catholic Church that once served the predominant Irish Catholic mine workers. This imposing building, built in 1871, is an icon of the Sierra foothills. The story of how Smartsville regained its name is a triumphal tale of small-town pride versus federal government bureaucracy. It began in the late 19th century when mail addressed to identically named cities, often in the same state, arrived at unintended destinations. In time, this problem became more and more serious, and in 1890, sparked the formation of a federal board. The solution was to re-name cities with duplicate names within the same state and, in general, it worked. But having gained a bit of momentum, the US Board of Geographic Names couldn’t stop and continued changing names, often without good reason. With apparent zeal, many city and town names were altered, to the dismay of their residents. Smartsville, in 1909, became Smartville and the town hated it. Finally, after several prior attempts, and with overwhelming local and county-wide support, the correct spelling was officially reversed by the federal government in 2008. So in September, on the grounds of the historic, former Catholic Church in Smartsville, we will celebrate these two anniversaries with cake and ice cream, candles to blow out, music, a few short speeches, food and activities for kids. Admission is free. Bring your own chairs. For more information, visit SmartsvilleChurchRestoration.org, or call Kathy Smith at (916) 838-2757 or Kit Burton at (530) 701-2639.